Pre-heat your oven to 350*. 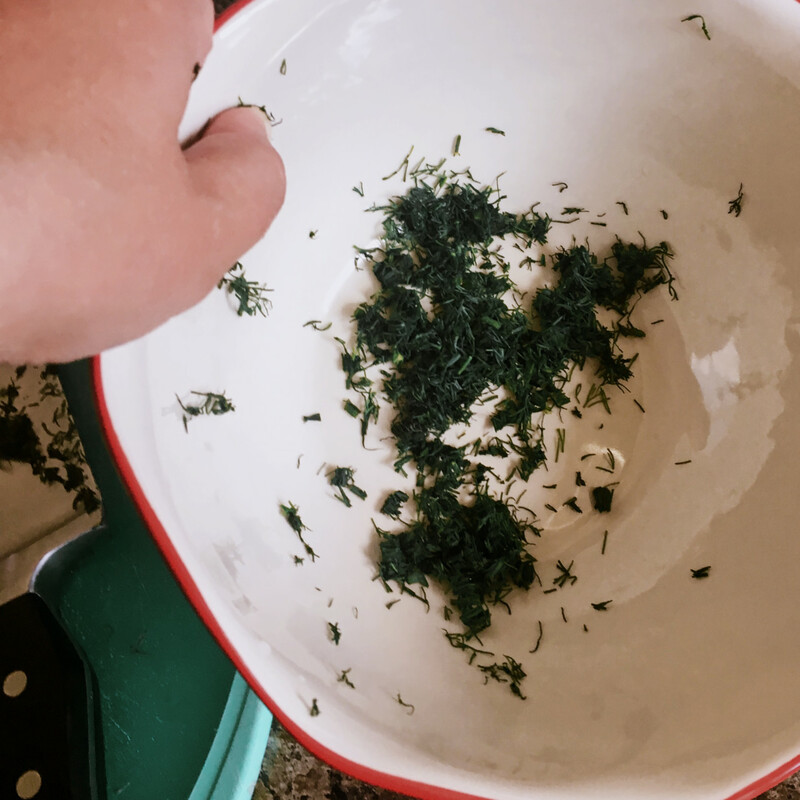 Chop your fresh Dill (or if using dried you get to skip the chopping. 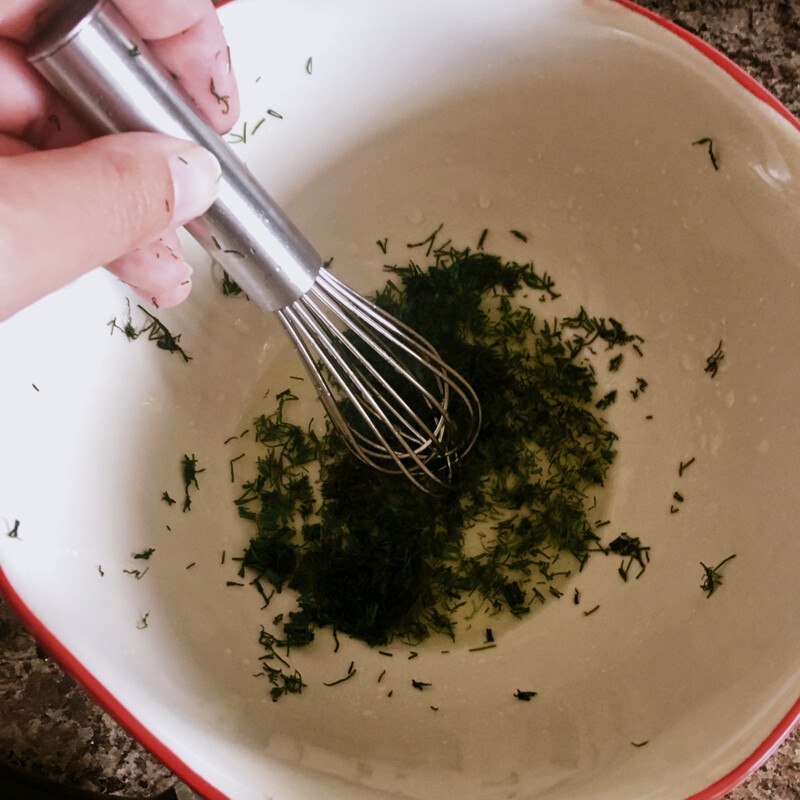 BUT if its summer and dill is plentiful, I would highly recommend using it when you can.) and place in small mixing bowl. 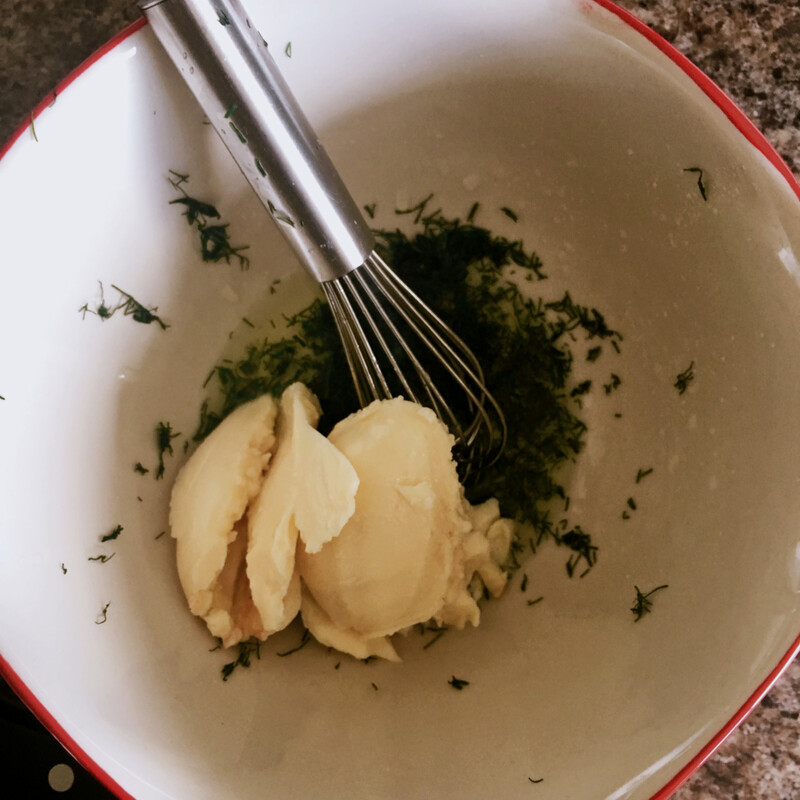 Stir to combine into a thick paste. 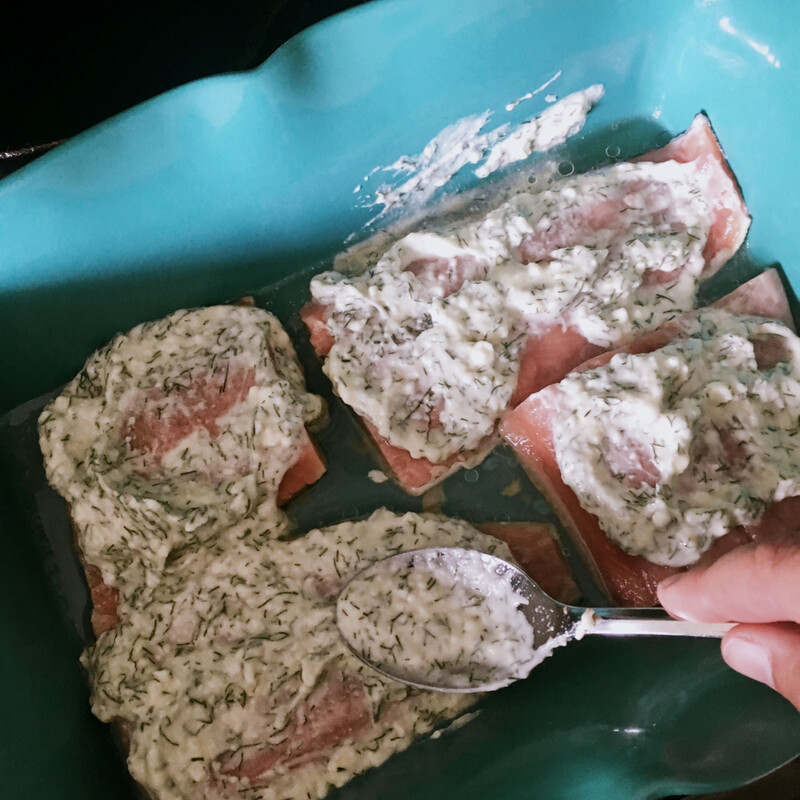 Place fish in a lightly oiled, oven safe dish. Scoop a decent amount of the mixture on each fillet. 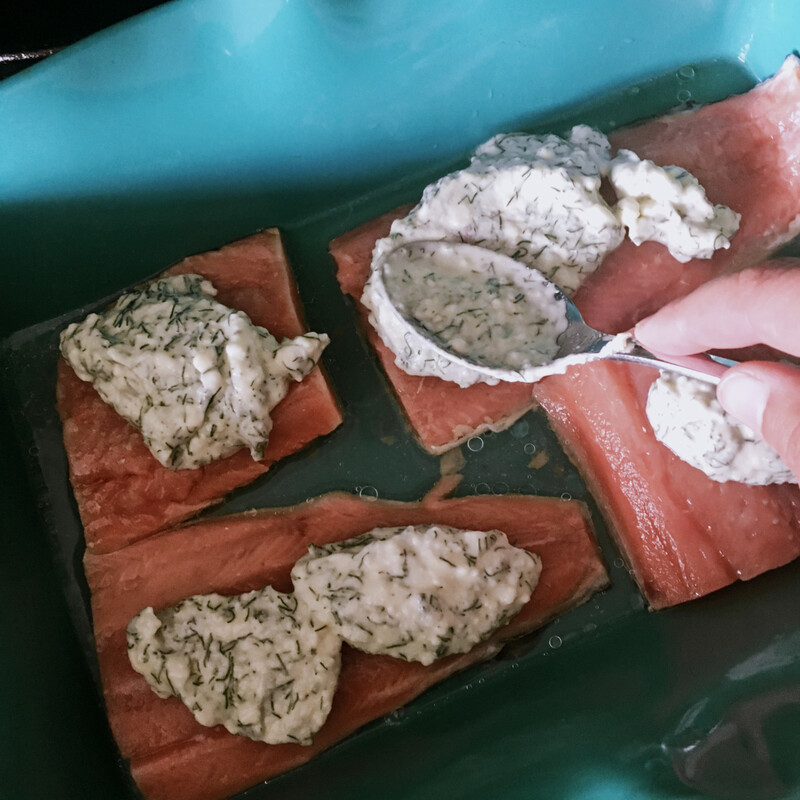 Spread over the whole top of the fillet. Not a perfect science. Just be sure it covered. Cover the dish in tinfoil. 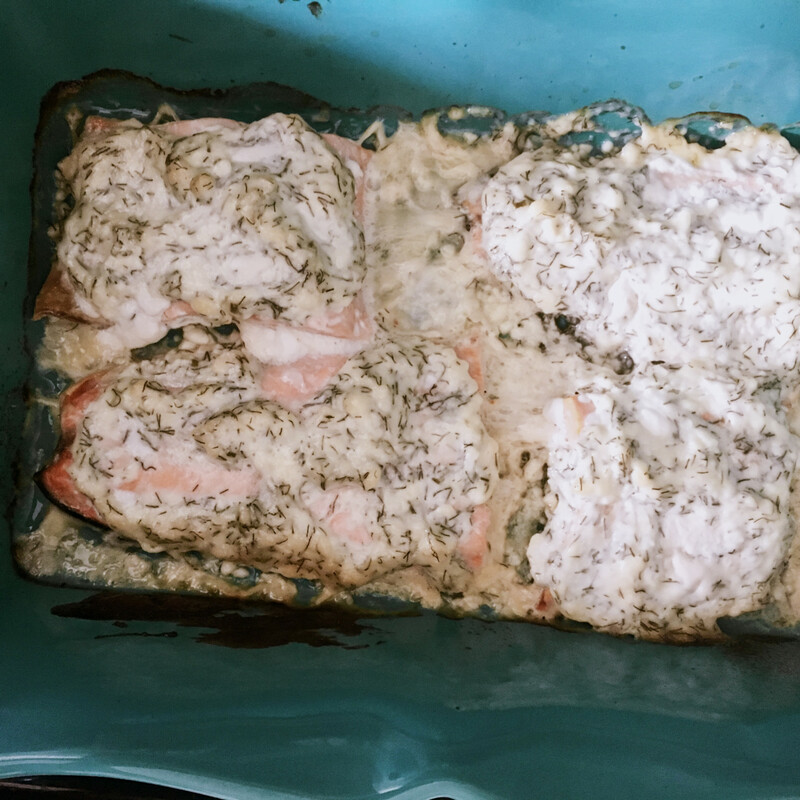 Bake in oven for 30 minutes and then check with a fork. 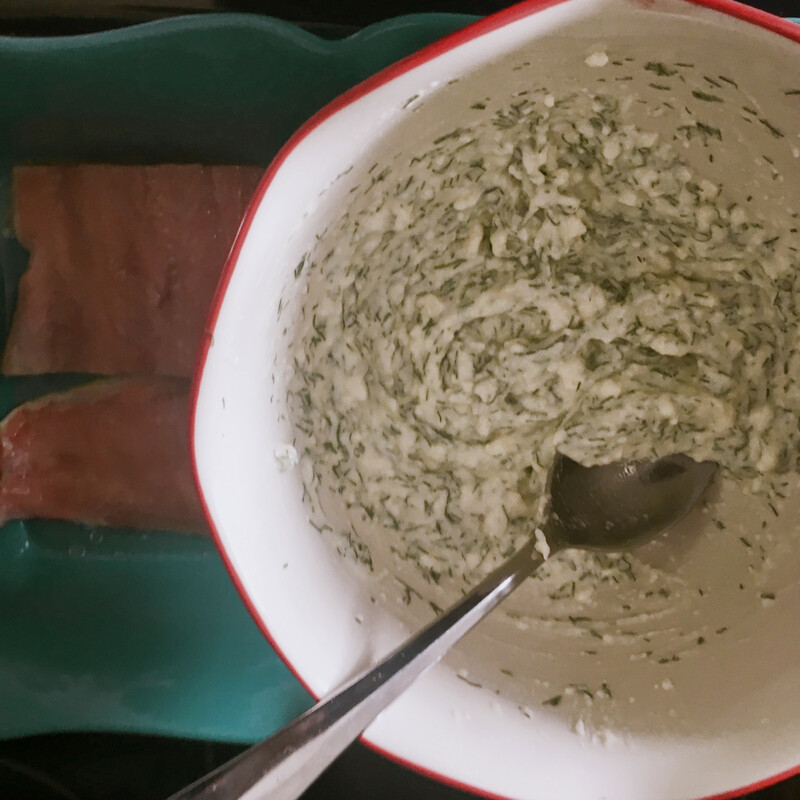 If the salmon flakes easily and isn't a fleshy texture, then you are done! If it isn't quite done, just recover and pop back into the oven. Because the fish is steaming under the tinfoil, it's very hard to dry out. So, just pop it back in for another 5 minutes or so and check it again. 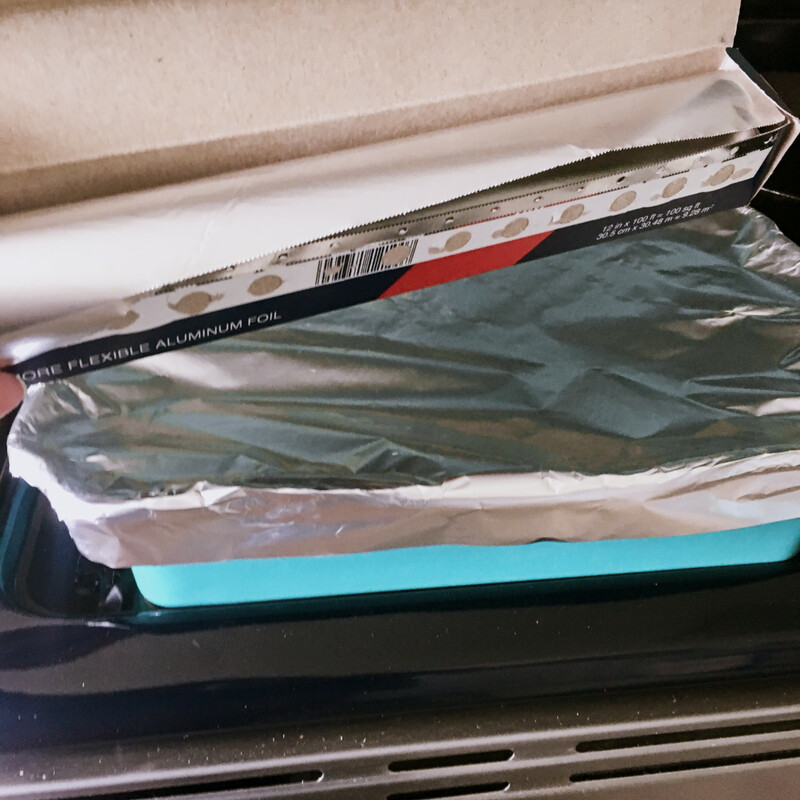 If you'd like to use a grill instead, you can create tinfoil package with the same recipe inside and then pop it on the grill to steam inside the foil. Really amazing this way too!